Andrés Manuel López Obrador has shaken Mexico's entire political landscape. Will he be able to reshape the country? 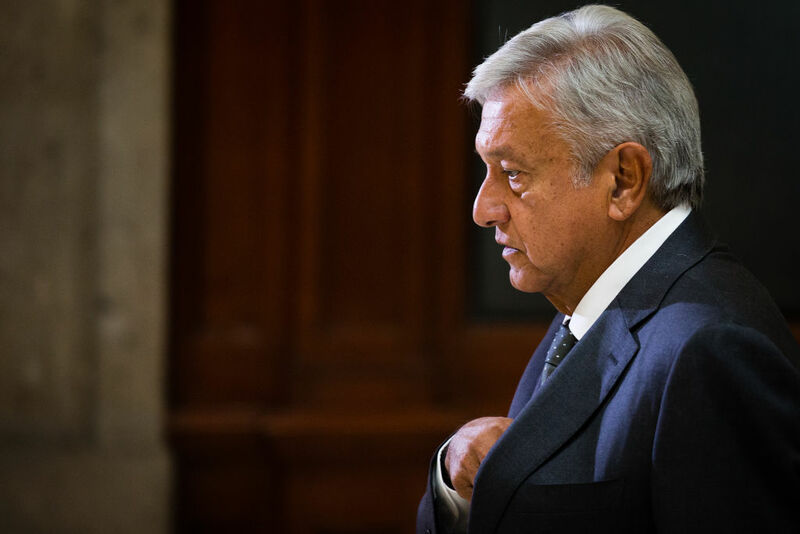 It is hard to overstate the extent of Andrés Manuel López Obrador’s (AMLO) victory in the Mexican presidential elections this past Sunday. AMLO garnered 53 percent of the vote, a whopping thirty points more than his closest contender, right-winger Ricardo Anaya. He won the most votes at the presidential level in Mexican history and by the widest margin since the democratic transition in 2000. He triumphed in all but one of the country’s thirty-two states — a dozen of which gave him over 60 percent of the vote — and prevailed in 80 percent of the country’s municipalities. AMLO’s party, Morena — created in 2014 and running in its first nationwide elections — also wracked up landslide victories. They secured a solid majority in congress and the senate. They will preside in five of the nine governorships that were up for grabs, winning most of those races by historically wide margins. In Mexico City, where AMLO served as mayor in the early 2000s, Morena’s candidate, Claudia Sheinbaum, finished sixteen points ahead of the second-place candidate. In López Obrador’s home state of Tabasco, the party’s candidate won by forty points. The astonishing gains spread beyond traditional AMLO strongholds, extending well into the north. Mexico’s three main parties — the PRI, the PAN, and the PRD — woke up Monday morning and found themselves transformed into minority parties. The entire political arena had been shaken overnight. Although AMLO had been leading in the polls for months, many in the country went into election day worried of possible fraud and vote-buying operations. Several scattered reports of suspicious activity throughout the day heightened those fears. Some of these reports were dramatic. In the state of Puebla, for example, a van carrying stolen ballots crashed as it sped away. Area residents rushed to catch the perpetrators and linked arms around the vehicle to protect the ballots as they waited for authorities to arrive. The electoral cycle itself had been marred by violence, with over one hundred candidates from different parties assassinated over the course of the campaign, most likely at the hands of the drug cartels. But the night of the election ended on an ecstatic note for AMLO and his supporters. Early concession speeches from the other candidates eased tensions. The National Electoral Institute confirmed that AMLO was on track to win. The exiting president Peña Nieto went on national television to recognize the results and assure the nation that the transition would be peaceful. Hundreds of thousands poured into the Zocalo, Mexico City’s central square, and celebrated the news. In an emotional speech, López Obrador thanked the left-wing movements of yesteryear — of peasants, workers, students — that had paved the way for this moment. “You are not alone,” the crowd chanted as AMLO acknowledged the historical responsibility entrusted to him. He recalled the slogan of his failed presidential run six years ago: for the good of everyone, first the poor. Still, as the dust begins to settle, a couple questions remain. What exactly is “this moment”? And what is the nature of the mandate AMLO so clearly commands? Before heading to the Zocalo, AMLO delivered a speech from a hotel, where he assured the markets that he was committed to “fiscal and financial discipline.” Alfonso Romo, the likely chief of staff of AMLO’s future government, is a skilled interlocutor between AMLO and the business community. He heads one of the largest brokerage houses in Latin America and had a close relationship to ex-president Carlos Salinas de Gortari (of the PRI), who pushed the country down a neoliberal path in the late ‘80s. That Sunday night at the Zocalo, the crowd also applauded Romo’s name when López Obrador mentioned him as part of the transition team. As its stands, Morena is a broad coalition of disparate anti-establishment interests. AMLO places himself, correctly, in a long lineage of leftist dissidents. A great part of his appeal resides in his promise to use the state as a redistributive force that favors the working classes. But Romo and other middle- and upper-class supporters see Morena’s historical task as building the basic conditions of a liberal capitalist regime. This task has an anti-establishment flavor in the current context since it requires ending cronyism, establishing the rule of law, and perhaps even closing tax loopholes. AMLO’s campaign message found a way to merge these two visions: corruption cripples the state’s capacity to manage a redistributive capitalism, and the growth of organized crime is a consequence of the state’s retrenchment from the economy. With the political legitimacy of existing parties in severe crisis, Morena offered a way out for many class fractions. It is a temporary political bloc harboring serious internal tensions. And yet, López Obrador might not see these two visions — Romo’s and the leftist leaders he eulogized in his speech — as contradictory. Part of why it is hard for outside observers to place AMLO in the geography of political ideologies (arguments abound about whether he is “left” or not) is that his political trajectory is entirely peculiar to the Mexican case. He doesn’t come from the socialist or social-democratic left like European counterparts. He doesn’t come from militant union activism like Lula or Evo in South America. López Obrador was a member of the officialist party, the Party of Institutional Revolution (PRI), early in his career, when the organization — the heir to a radical agrarian revolution from the early part of the twentieth century — still contained a strong nationalist wing and was the only vehicle for getting into public service. His first post in the 1970s was as the head of his home state’s indigenous affairs office, an agency charged with carrying out local community development projects. By the 1980s, he had been forced to step down as state-level president of the PRI for his attempts to democratize the organization. The PRI’s hard turn towards neoliberalism over the course of that decade left the party’s nationalist wing isolated, and eventually it broke away from the party. AMLO broke as well, beginning his long march as a member of the opposition. AMLO entertains the notion of a class-neutral state apparatus that can serve as arbiter and regulator of class conflict. For him, the PRI’s sin is betraying this vision by surrendering control of the economy to the private sector, which set the stage for the state’s political delegitimation. So it is, that in the current juncture, regulating class conflict and rebuilding the state’s authority requires launching a redistributive capitalist developmentalist agenda: for the good of everyone, the poor will be first. Herein lies the immense promise and limitations of his presidency. What the balance of forces within Morena will look like in the years to come is of course still an open question. AMLO’s vision, a product of his trajectory, and the weight of the mandate he was granted, will go a long way in keeping this coalition of forces together. But tensions are bound to emerge. Edwin F. Ackerman is assistant professor of sociology at Syracuse University.